During the month of August, a few of our Spring Fling supporters have agreed to donate a portion (at least 15%) of your purchase to the Irish Pallottine Missions in East Africa. The Irish Pallottine Priests have provided priestly support to our churches in the community, and served as chaplains at Henry Ford Wyandotte Hospital for many years. Most recently, Fr. 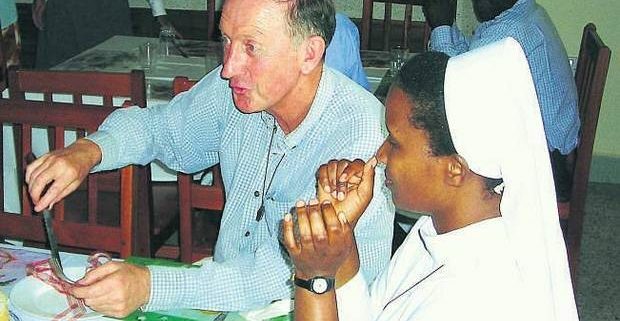 Noel O’Connor SAC had served as Chaplain. He touched many lives in the city of Wyandotte and beyond. 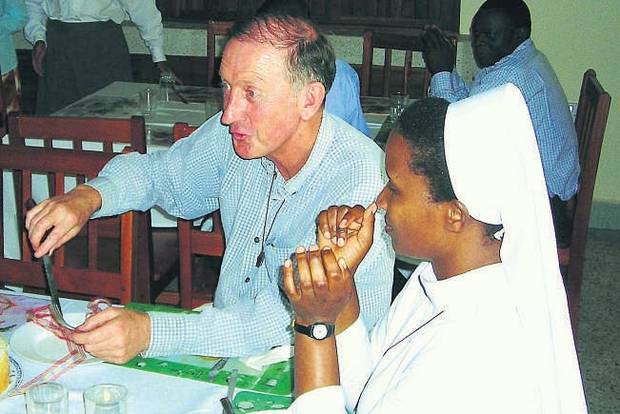 He spent over two decades helping the poorest of the poor in Tanzania and Kenya. Currently Fr. Noel is home in Ireland recuperating from an illness. It would lift his spirits that he knew we carried on some of his fundraising efforts to help with the missions. So, please take a moment when you decide to go out for lunch or dinner and visit the participating restaurants. Thank you for your support to Fr. Noel, who will be touched by the generosity of the participating restaurants and our patronage.